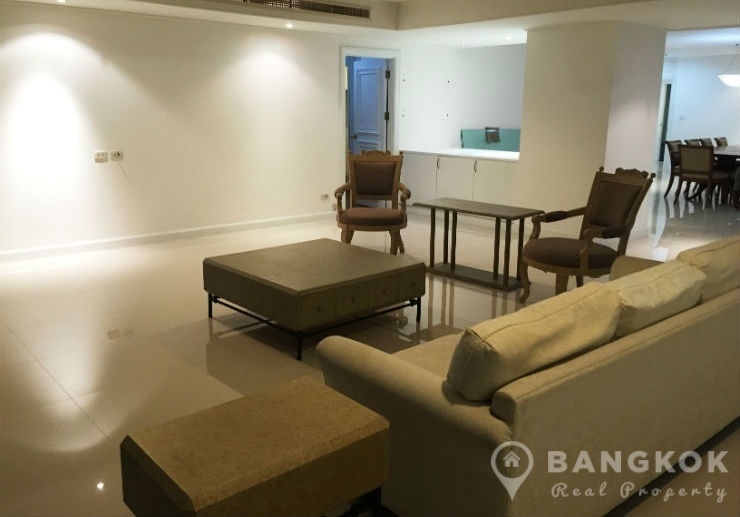 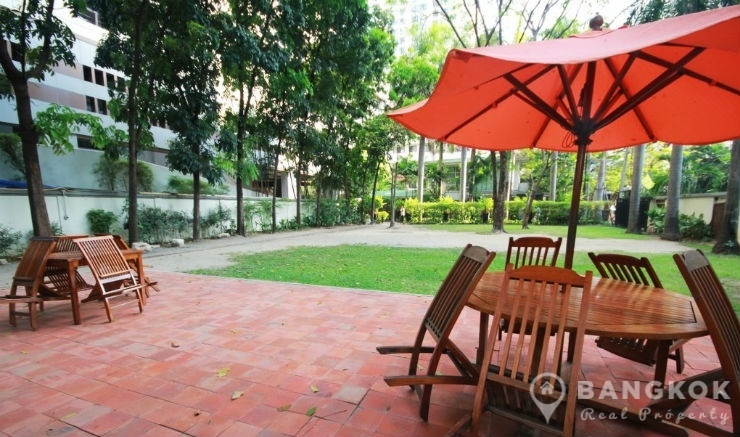 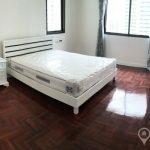 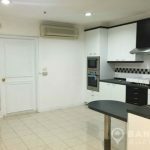 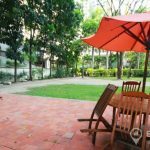 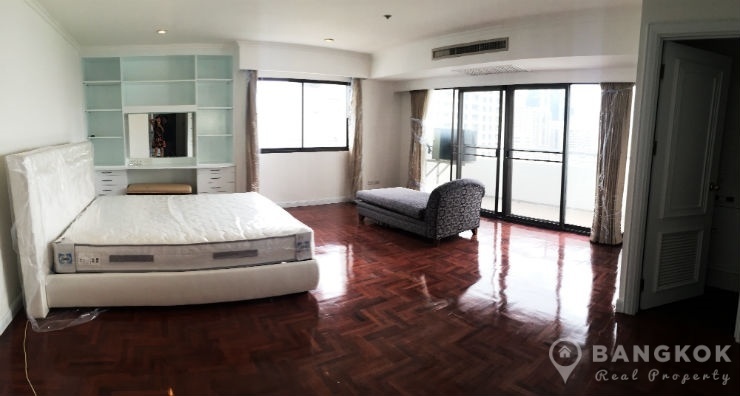 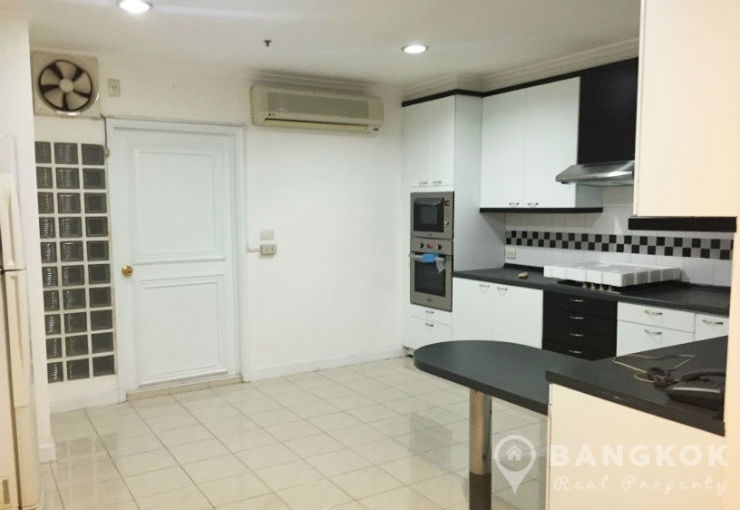 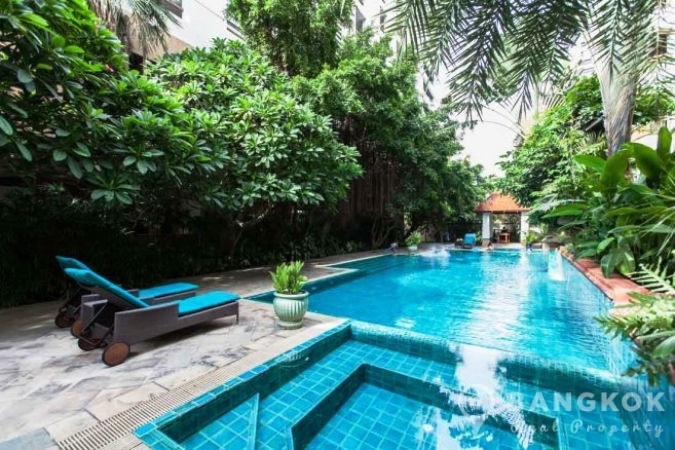 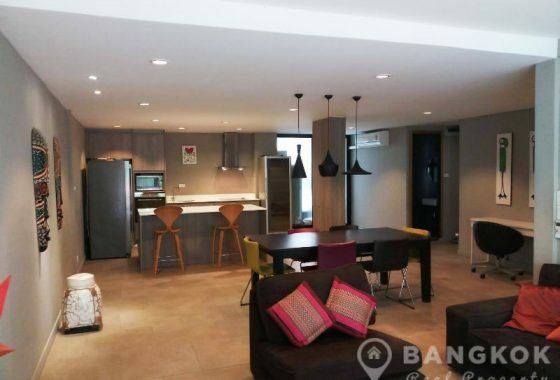 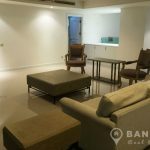 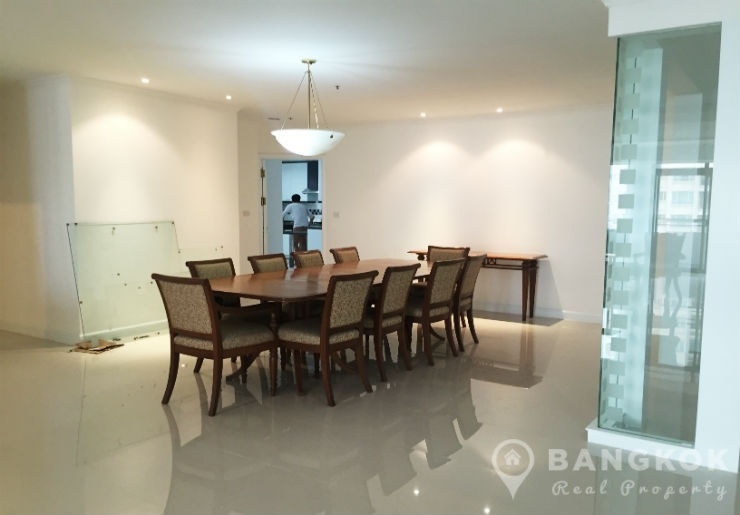 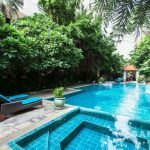 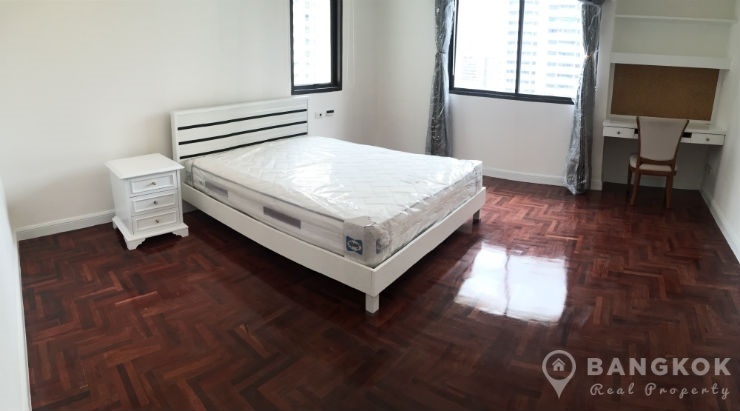 A newly renovated and very spacious 3 bedroom condo is now available to rent at Kallista Mansion, located in the heart of Nana on Sukhumvit 11 over looking the Saen Saep canal and within easy reach of both BTS and MRT stations. 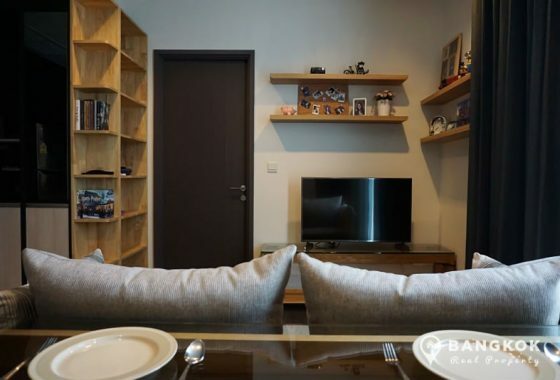 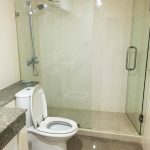 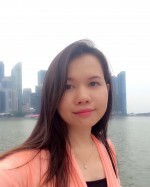 This established high rise development built in 1997 offers residents access to most of Sukhumvit’s great amenities including Terminal 21, EmQuartier, Villa Market, Foodland, Bumrungrad International Hospital and Chuwit Park. 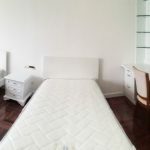 Situated on a mid floor of Kallista Mansion, this spacious condo has 315 sq.m of living space with 3 double bedrooms, 4 bathrooms, a huge livingroom – dining room with ceramic tiled floors and large balcony, a separate modern kitchen with extensive built in units, built in electric hob, oven, microwave and fridge-freezer and there is a washing machine. 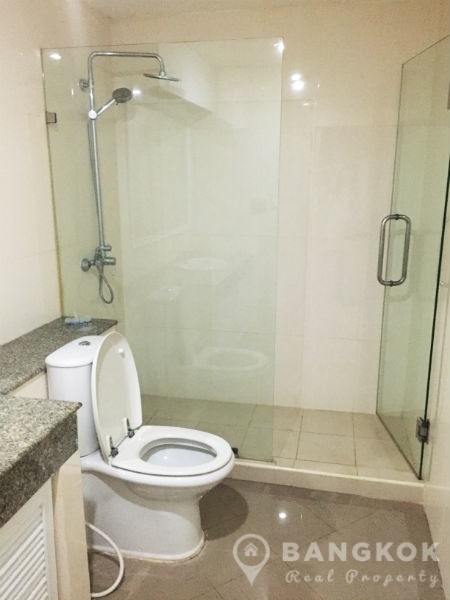 There is 1 maids room with bathroom and separate entrance. 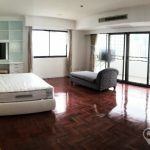 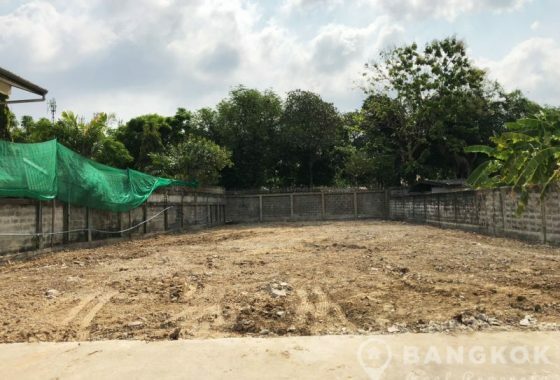 The master bedroom is very large with excellent storage, balcony and a spacious ensuite bathroom with sunken Jacuzzi and bathtub and a separate shower. 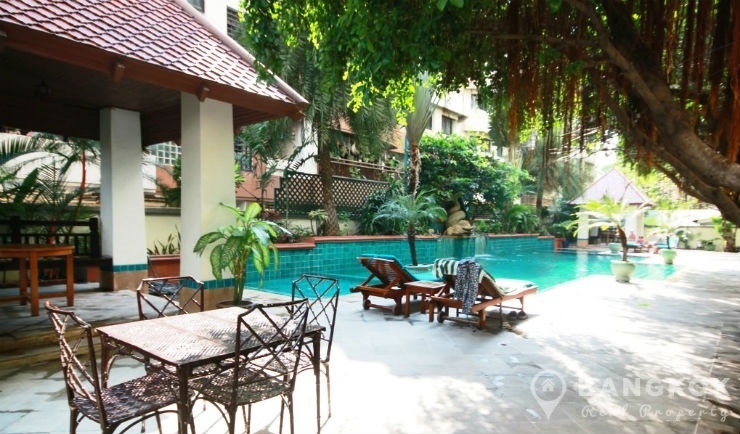 Kallista Mansion is a condominium project, located on Sukhumvit 11 in the heart of Nana overlooking the canal. 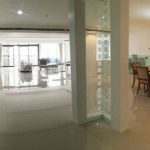 Completed in 1997, Kallista Mansion is a high rise project which comprises of a single building with 34 floors with just 84 large units.